If you’re planning on backpacking Australia, this packing list will help you plan what to wear. Most backpackers head for the beach experience on the East Coast route while other travelers may prefer to focus on the outback. Please keep in mind that the country is massive so areas vary and your activities will also affect your packing choices. Since I was only there for a few weeks, several local girls have offered up some helpful tips about what to wear when backpacking Australia! 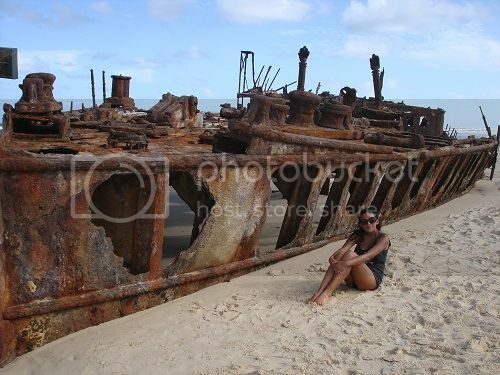 I spent 3 weeks traveling Australia’s east coast during my Round the World trip in 2010. A few of my highlights included Sydney, the Whitsundays, and Fraser Island. Your transportation and activities are easy to book upon arrival using one of the many travel agencies around. I highly recommend Peter Pan travel agency as they provide helpful service and great prices. The east coast can be kind of a party route so a few must have essentials for me on this summer time backpacking trip were jeans, cute going out sandals, and a party dress. With all the flashpacker hostels available, many of them even have straighteners and blow dryers you can use (for a fee). 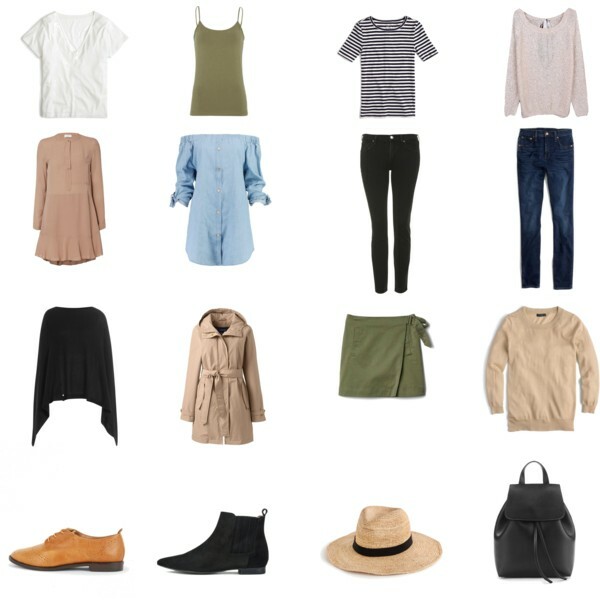 If you’re not backpacking, find out what to wear in Australia year round! Australia is split into six states and two major mainland territories – Northern Territory, Australian Capital Territory, Queensland, New South Wales, South Australia, Western Australia, Victoria and Tasmania – each one as unique and varied as the next. Australia has a distinctive fashion style – it is fairly casual, think t-shirts, shorts and thongs (flip flops), expressive of the countries strong beach culture. Larger cities such as Sydney and Melbourne tend to be more stylish and fashion conscious, dressing for dinner is usually expected. In the Gold Coast Laura describes the style as ‘Las Vegas-meets-Miami’ anything goes regarding fashion, the weather is warm and there is a strong beach culture and party attitude. Stick to casual clothing such as jeans/shorts, flats, cute tees, and a tailored trench coat, however throw in your favourite party dress, blazer and heels (your call, flats are totally acceptable) if you plan on eating out in fancy places or hitting the cool Australian party scene. The best advice when packing for Australia would be to dress for the climate, the weather can get insanely hot and the air is humid, people understand if you can’t be bothered to get jazzed up in your finest clothes all of the time. Worth a note: you’re guaranteed to stick out as a tourist (not that it’s a big deal) if you wear baggy shorts, oversized tees, running shoes, a baseball hat and traditional khaki travel pants. Also, Uggs are mainly worn inside as house shoes, not as a fashion statement! Uggs is the type of shoe that you wear during the cold months of the season, it is also the name of the company that sells them. You don’t have to buy from the companies called UGGs – there are plenty of affordable options that are still originals. While in Australia you will find a lot of stores selling uggs, remember if the price is cheap it usually affects the quality. Donna Says: Spring can be beautiful, but highly unpredictable. Northern Australia can be hot and humid already, while southern Australia can still be windy, rainy, and cool, with nice days throughout. Be prepared for the biggest range of weather during the Spring- layers, people! Spring in Australia lasts between the months of September and November, it is a season of generally nice weather however be prepared for wind and rain when the wet season begins in October affecting the northern areas of the Northern Territory, Queensland and Western Australia, the weather in the north will be significantly warmer, cooling as you travel south. Seen as though spring is considered the wet season, pack according to this with items such as natural colored jersey t-shirts, a pair of jeans or capris, a thin knit sweater and a printed spring rain coat with hood – think warm and cosy to light and airy. If you prefer something a bit more feminine and girly opt for a simple skater dress and boho skirt. 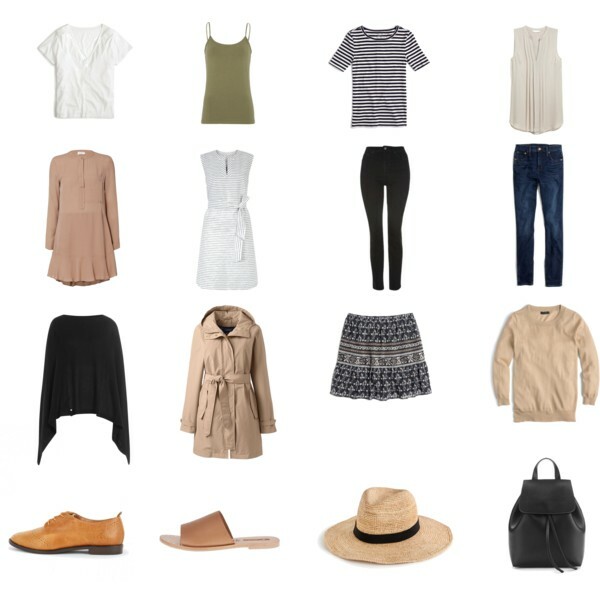 The best advice for spring would be to layer; clothes can be added and removed depending on what the weather brings. Don’t forget a pretty maxi dress, colorful swimsuits and sunnies and sunhat if you’re planning on visiting one of the country’s tropic areas or fabulous beaches. However maybe hold off until late spring to hit the beaches in the southern states. For shoes, consider a chic pair of boots or brogues due to the impulsiveness of the climate, pack a pair of pastel leather sandals and a trusty pair of flip flops for when the weather starts to pick up or if you’re planning a trip to the beach. Diane Says: Mild to Hot! Anywhere between 25 and 45 degrees! Summer in Australia runs from December to February, the weather is HOT in most of the country with average maximum temperatures exceeding 30°C, be prepared for frequent heat waves and periods of drought. The weather differs throughout the country, ranging from unbearable hot in the north and desert regions to lovely and mild in South Australia and Tasmania, generally it gets warmer as you travel north and cooler as you head south, the wet season will still be present in the north, so be prepared for tropical rain. Summer is the season of fun and festivities (and Christmas, which just seems crazy), hit up a festival such as The Sydney Festival, held from around the second week in Jan, and celebrate the local art and culture. Summer is peak of the beach season, so take advantage and head to the beautiful coast, or pay a visit to one of the nearby islands, such as those along the Great Barrier Reef. Take advantage of the beautiful summer weather by packing accordingly; opt for a pair of shorts, neutral singlets (tank tops), printed camis and tunics, your favorite maxi dress, boho skirts and a pretty sundress to complete you travel wardrobe, the north can get very humid so lightweight fabric is key, think cottons and silks that are light and breathable and will absorb sweat and release body heat. In South Australia and Tasmania the weather can drop cool at night so pack a light jacket or printed kimono, a pair of Capri or palazzo trousers and some closed toe leather sandals. Don’t forget to pack a printed bikini or swimsuit, flip-flops, your favourite sunnies and a floppy sun hat, summer is the best time to explore the country’s beautiful beaches ideal for relaxing, boating and water sports. Don’t forget high SPF sunscreen!! Australia’s sun rays are some of the harshest in the world. Donna Says: Autumn is a lot like spring here- the weather is still unpredictable, but expect more wind than rain. The Autumn months are from March to May, the weather in autumn can be unpredictable, it is similar to spring but slightly colder. The temp can range anywhere from 17 to 25 degrees, sometimes a tad warmer, sometimes dropping cooler – the best advice would be to check the weather forecast before you travel. Australia is beautiful in autumn, check out Vivid Sydney, taking place at the end of May through till June, a spectacular light and music event. Your autumn wardrobe will be similar to springs, pack your favorite pair of jeans, a loose knit pullover, a printed blouse, leggings, and a neutral colored tunic that can be easily mixed and matched, pack a cute tea dress if you plan on heading out for nice meals or drinks. Here’s what TFG readers voted on the best leggings for women who travel! Pair your clothing with opaque tights, a light jacket (such as denim) and a cotton scarf for the cooler days and nights, again the best advice would be to layer, adding and taking pieces off depending on the weather. Australia has amazing walking and hiking areas, take advantage of the cool and dry weather by heading out and enjoying the great outdoors, pack a pair of leather boots or hiking shoes to enjoy these excursions to the fullest. Laura Says: Cool to cold. The locals are ‘rugged up’ in winter, but often I walk on the beach dressed head to toe in winter gear and will see an overseas tourist in board shorts taking a leisurely dip in the ocean. Winter – June – August. Diane describes winter as ‘Cold! Anywhere between 12 and 17 degrees.’, but to me (from the UK) that actually sounds quite pleasant, if you don’t live in a subtropical climate you could actually find Australia’s winters very mild. The days still tend to be quite sunny and warm, however you could find it a little cooler in the mornings and evenings, winter is high season for the beach cities in the north where there’s warm, sunny (24-30°) , dry days and cooler evenings, as predicted the south is much cooler, but is still reasonably mild. Winter is the perfect season to check out one of the country’s ski resort and enjoy the mountain slopes and snow activities, the best places include the Snowy Mountains in New South Wales, Victoria’s high country and the mountain areas of Tasmania. Clothing wise really depend on where you’re planning on heading, in the north of the country its prime beach weather, so don’t put away your flip flops and bikini just yet. These are the best swimsuit coverups and styles of the season! As a general rule opt for embellished sweaters, your fave jeans and cropper trousers, and neutral coloured tunic or mid sleeved shirt to easily mix and match and a lightweight jacket such as a classic mac. To add femininity to your wardrobe pack a mid-sleeved shirt dress and opaque tights, accessories with a cute cotton scarf and wool fedora. The shoe of choice would be ankle boots! South Australia, New South Wales and Victoria have milder climates, quite Mediterranean, than Western Australia (dry and hot), North Territory and Queensland (hot and humid) and Tasmania (quite cool), there is a large variation in climate and temp. Diane’s advice is to check your destination state and city’s weather before you travel so you can pack appropriate clothing. Mid-November is when the South of Australia gets pretty hot, this means that the temperature in the North will be insane reaching +45C and sometimes +50C. Julia’s main advice to combat this extreme weather is to stay hydrated, constantly use sunscreen and wear long sleeved thin tops, pants and a hat – why long? You’ll become less sun damage and dehydrated, stay in the shade as much as possible. I’m not got to lie; it took me a while to get my head round all the differing climates across Australia’s states and territories, because the country is so large the weather can vary significantly in different areas. 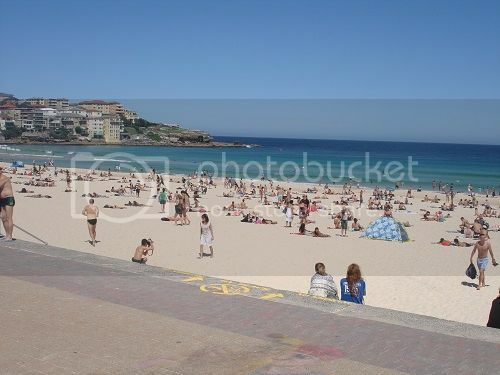 New South Wales : Weather in Sydney – The climate is pleasantly temperate all year round. Victoria: Weather in Melbourne – Victoria’s has a range of different climate zones, from the hot, dry regions of the northwest to the alpine snowfields in the northeast. Melbourne is known for its changeable weather; generally the city enjoys a temperate climate. South Australia: Weather in Adelaide – South Australia’s climate ranges from hot and dry in the inland to milder and wetter in the south and the south-east coast. Western Australia: Weather in Perth – Western Australia has a number of climates due to its massive size. In the north-west the summer is ‘wet’ season, the interior is mainly dry with hot summer temps; whereas the southwest has mild, rainy winters and hot, dry summers. Queensland: Weather in Brisbane – Brisbane has subtropical weather – warm weather for most of the year. Weather in the Gold Coast – The Gold Coast has an enjoyable sub-tropical climate all-year round. Tasmania: Summers are mild and rainfall is spread fairly consistently during the year. Australian Capital Territory: Weather in Canberra – Canberra has a mainly dry, inland climate. North: Weather in the North – The north, ranging from central and northern parts of the Northern Territory and Queensland and the northern parts of Western Australia, has a tropical climate with high temps and high humidity, there is distinct wet (Oct to Apr) and dry (May to Sept) seasons. Snow is uncommon in temperate Australia and unheard of in the dry and tropical regions, in Great Dividing Range – mountain range that passes through New South Wales and Victoria there are regular winter snowfalls. One of the main travel essentials for Australia would be SUNSCREEN! The country has some of strongest sun rays in the world and regular application is essential, as well as sun cream pack your favorite sunnies and a broad- brimmed hat to combat the suns glare. Good walking shoes/ hiking boots are a must, Australia is infamous for its outdoor activities, hikes and bush walks are more than likely going to be included in your itinerary and you’ll not want to miss out, the country is home to some of the deadliest creatures, including spiders and snakes, so appropriate shoes for your exploring plans are essentials. A colorful swimsuit, sarong, maxi dress (effortlessly glamorous vibe that fits in well in Australia) and flip flops are a definite if you plan on spending time discovering the country’s beautiful beaches, according to Laura you’ll be able to pick up the best swimwear and cover ups in Australia, so maybe treat yourself and pick one up whilst travelling. Don’t forget some insect repellent for those annoying little critters; however it’s easy enough to pick up over there if you don’t fancy stocking up beforehand. A good tip would be to take some chic workout gear, the locals Aussies are active people -regularly outdoors walking, jogging and biking, taking in the beautiful scenery and beaches and enjoying the gorgeous climate, you’ll fit right in if you love to be active and keep fit. Finally pack a strong umbrella and lightweight waterproof hooded jacket, be prepared though, you might end up wrestling with your brolly in the strong winds. Worth a note: Stock up on Australian dollars when venturing out, lots of eateries still only take cash. Unfortunately, stores in Australia can be quite pricey, be prepared for constant sticker shock. If you’ve forgotten an item check out a local Target, K-Mart of Big W, these are good budget friendly stores for picking up forgotten accessories, beauty items, clothes and shoes. Sportsgirl – The brand is a leader in the Australian fashion industry, Sportsgirl is a younger, more fun alternative to the more conservative sister label Sportscraft. Witchery – One of Australia’s most talked about fashion brands, Witchery is relied on to provide quality basic pieces and on trend looks, the brand offers women’s apparel, shoes, accessories, eyewear, underwear and beachwear, Witchery has 80 concept stores strategically positioned in key locations around Australia. Country Road – The brand is passionate about creating ‘beautiful merchandise designed to reflect an authentically Australian way of life,’ they combine design trends with fine tailoring and attention to detail, Country Road stands for ‘natural simplicity with a relaxed, spontaneous style.’ The brand produces women’s and men’s clothing, footwear and accessories, children’s clothing and home wares. I you’re a bargain hunter you’re guaranteed to find some unique gems at local thrift stores such as Salvos and Goodwill. TFG recommends: Lonely Planet travel guides: Lonely Planet Australia or Lonely Planet East Coast Australia. Transportation: Transportation of choice in Australia includes long distance bus companies such as the Greyhound (which I used and recommend); camper rentals, and internal flights. For flights, Flight Centre is a travel agency I saw during my trip up the east coast. Accommodation: Hostels are the cheapest way to go in Australia and by cheap I mean starting at $25 a night which isn’t very cheap. You can use booking sites such as Hostelworld to reserve a bed. If you’re looking for fun and modern, although pricey, Base hostels were a popular option in both Australia and New Zealand. What are your best tips on what to wear when backpacking Australia? Please share in the comment section below! 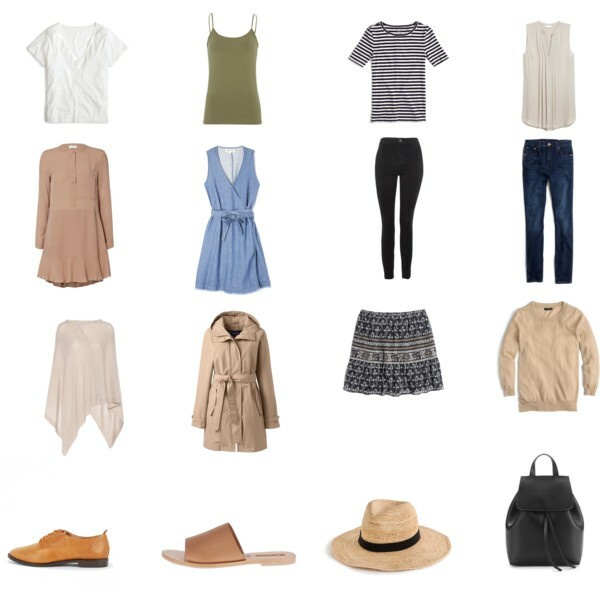 Hope you enjoyed this post on what to wear when backpacking Australia. Share it with your friends on Facebook, Twitter and Pinterest. Thanks for reading! If you are a larger size and like wearing dresses pick up some chaffing cream or pack some short leggings /cycle shorts to wear under dresses in summer as the heat and humidity can cause painful heat rashes that can ruin a day out and about. You can pick up bbb cream at a chemist if you get caught out. It’s sad that we have such a poor interrail system here, where a 2hour flight is around 10+ hours. (syd > brisbane/gold coast). Skyscanner.com for cheap flights. Just sent up a few alerts to find out when the cheapest tickets are. 1) Melbourne is famous for it’s tram network, which is usually fast and convenient – most trams come every 8-10 mins and you can probably walk to one from wherever you are, as they are common and in bountiful supply. However, you need to pick up a Myki card from your local 7/11, as bus, train and tram tickets are no longer sold as singles. This card can be used all over Victoria, and can be topped up at newsagents, online, or at train stations. 2) Internet is no longer slow and expensive, and is often offered for free at your hotel. 3) Be careful when expressing political views – Victoria is generally left wing, whilst Queensland is more conservative. One thing we all agree on, however, is how much of an arse our previous prime minister Tony Abbott was. 4) European fashion is looked upon with high regard – the only type of fashion Australia really excels at is beachwear. Often, Australian fashion is about six months behind European fashion, because of the season difference. Thanks for publishing such a great and comprehensive guide on travelling to Australia. Just a quick note though, 12-17 degrees in winter is wildly optimistic for many places in the country. I live in Canberra (in the ACT), and from May onwards we experience minimums of 0 degrees and can have maximums of less than 10 degrees for weeks during winter. Melbourne and other places in Victoria, Tasmania and southern NSW experience similar lows, so make sure you check the forecast for where you’re go, and take a coat or thick jumpers if you need to. Enjoy travelling through our wonderful country! Great point! Forgot to note that the weather varies greatly by region – it is a massive country! Like Rachel, I live in Canberra, the capital city, and can endorse her comments about weather. Summer can be very hot – and winter quite bitter, expect mornings and evenings to be below zero, which will matter if you’re going out. Similar to Tasmania. Canberra has very distinct seasons and the best times to visit are autumn and spring. We’re not far from ski regions, where most winters are great, if very expensive. Hi Jennifer, thanks for your tips! Agreed! I live in Perth, and there are wild temp changes between here and the towns just 4 hours south. One portion of the above also stated that March is autumn – in Perth we can easily still be getting 35-40+ degrees at that time. Also…places only take cash?? What now? Australia is well ahead of the rest of the world for quick and easy electronic payments. Thank you for the insightful feedback Kiki! Thanks so much for these tips! Visiting my family in Australia, in two weeks, and I have been so unsure about what to pack! I didn’t want to stand out as a total tourist and feel more “in the know” now. Thanks, again. I would love to see a posting on what to pack for a Disney cruise to Alaska! will look into it. Thanks for reading! Like the other readers I’m heading abroad… well in less than 3 weeks now and also didn’t have a clue how to pack. I really appreciate the breaking it down by season – so much more helpful than anything else I’ve read. Once I get there I’ll be blogging for College Tourist (Where I found your site) if you want to follow my Twitter handle is @christianyb author name is Christian Buck. That’s great to hear Christian – I’m glad you find this guideline helpful and adapt it to your trip – perfect! Thank you for reading 🙂 Looking forward to reading your travels! Awesome, glad you liked it! Dress like yourself, it’s a modern country! Love all your packing tips! A note on Travelling in Australia. You can often get cheap domestic flights. Check out this site I use…http://iwantthatflight.com.au/ For example: Melbourne to Sydney can be from around AU$50 one way (cheaper than a bus or train) and is only 1hr 20min. compared to 10hrs driving, probably more on a bus. Tuesdays/Wednesdays are cheaper to fly with Fri/Sat being more expensive. Hope that helps someone! This makes me so excited for my trip next month! I definitely need to check out the local fashions, I’d love to splurge on a special outfit! Yes, super cute clothes! Have a wonderful trip!